Hanoi (VNS/VNA) - Hanoi needs more favourable policies to boost the parts supply industry, experts said at a recent conference on developing the industry in the capital. The city plans to increase the number of parts supply firms from the current 200-250 to 900-1,000 firms by 2020. 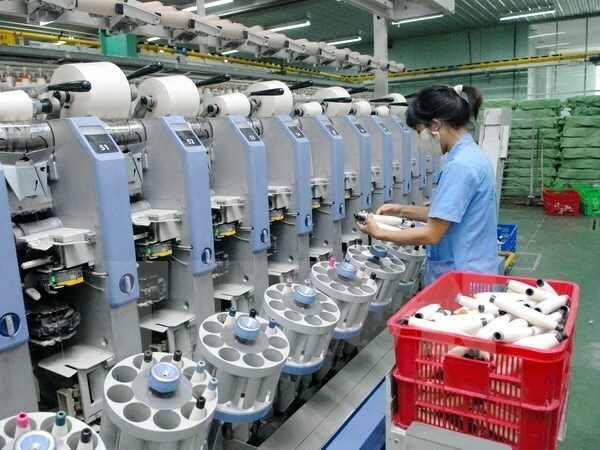 According to the Heavy Industry Department under the Ministry of Industry and Trade, the development of the parts supply industry in Vietnam has a potentially important role in economic development but is performing below expectations with modest local procurement rates. For example, local procurement by the footwear industry is just 20-25 percent and by the auto industry 7-10 percent for cars with fewer than nine seats. A number of industries are still largely dependent on imported raw materials, the department said, adding that State support for the parts supply industry is limited while foreign manufacturers tend to use suppliers from their home countries. Nguyen Hoang, Chairman of the Hanoi Support Industries Business Association, said the capital city needed policies to support existing parts supply firms and encourage new ones. Experts at the conference attributed the slow development of the industry to hesitation resulting from over-complicated procedures and less favourable policies than those enjoyed by foreign-invested firms. According to Phan Nhat Minh, general director of the Nhat Minh Company, local companies should be provided with incentives similar to those granted Samsung or at least equal to half of Samsung’s, adding that there was a significant difference in incentives between local and foreign companies. Lai Minh Duc, a representative from the municipal Department of Industry and Trade, said the city had a developed mechanical industry but lacks coordination among firms. “It is important to promote co-ordination among parts supply firms to improve competitiveness in the rapid international economic integration,” Duc said.